Polo is a fantastic sport. The viewer is closer to the action than at any other sport. The special feature of the Beach Polo is that the field is smaller and played on sand. 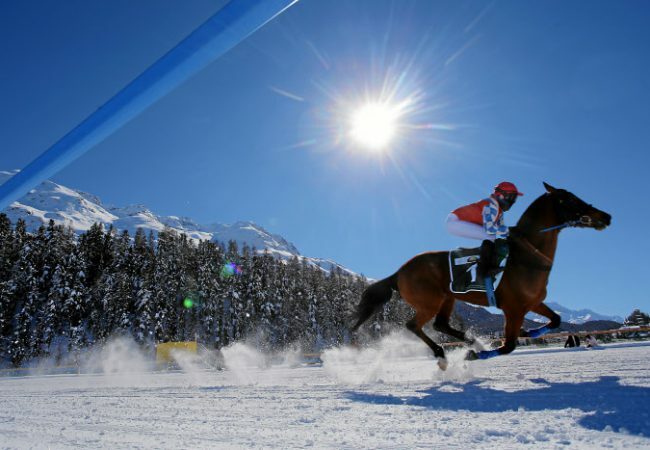 Horses and players are constantly pushing for their limits. It goes up and down fast – pure action. Dubai usually stands for superlatives and that also applies to the BPCD. The location Skydive is the perfect venue for this top-class tournament in front of the skyline of the exclusive Jumeirah district. The two entrance areas for the VIP and the public area were, like the whole area, secured by security and staff of the organizer. Each employee or security guard also served as a friendly guide or temporary photographer for the selfie. Since Dubai’s president was also present, the access roads and the arena were also monitored by the police and military, but this was only visible if you looked closely. Perfect discretion with absolute security. When the president arrived “only” the footpath to the lounge was kept free for a moment. For a statesman a surprisingly modest and folksy appearance. 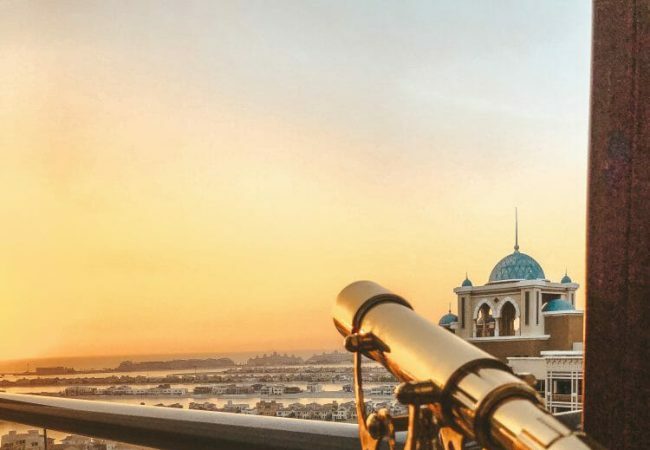 Incredible, or perhaps just in keeping with Dubai’s understanding of style and superlatives, the organizer built a grandstand with a clear view of the playing field on the Jumeirah skyline for all polo fans. Each Polofan had free entry into this area and numerous service staff were ready to serve the fans. 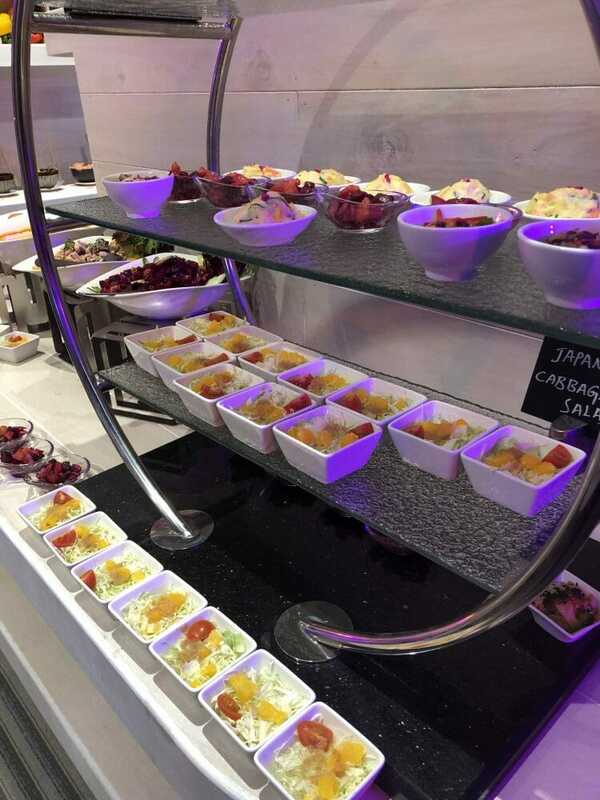 There were delicious delicacies from the Asian cuisine, as well as a large selection of alcoholic and non-alcoholic drinks at very fan friendly prices. In keeping with the Christmas season, a small romantic Christmas market with a beautiful Christmas tree sprayed festive Christmas spirit. 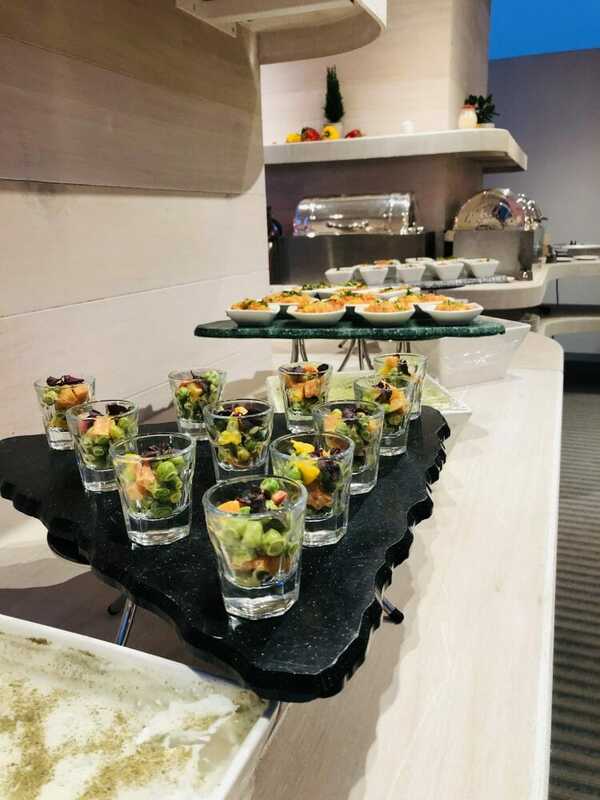 Just as wonderfully stylish, comfortable and modern designed the VIP area presents itself, so does the the international cosmopolitan audience. 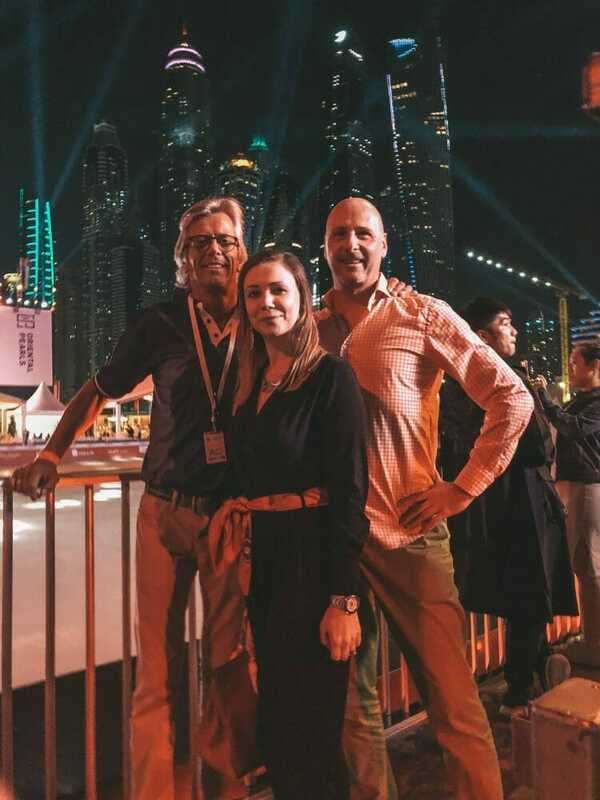 Impressive to see how so many people from different cultures together with a sense of style and class celebrated, a very important part of Dubai’s flair. Of course, networking was part of such an evening. Our co-diners had come from South Africa, the neighboring table was entirely in British hands. In a very informal atmosphere, lively discussions with many guests were easy and informal. 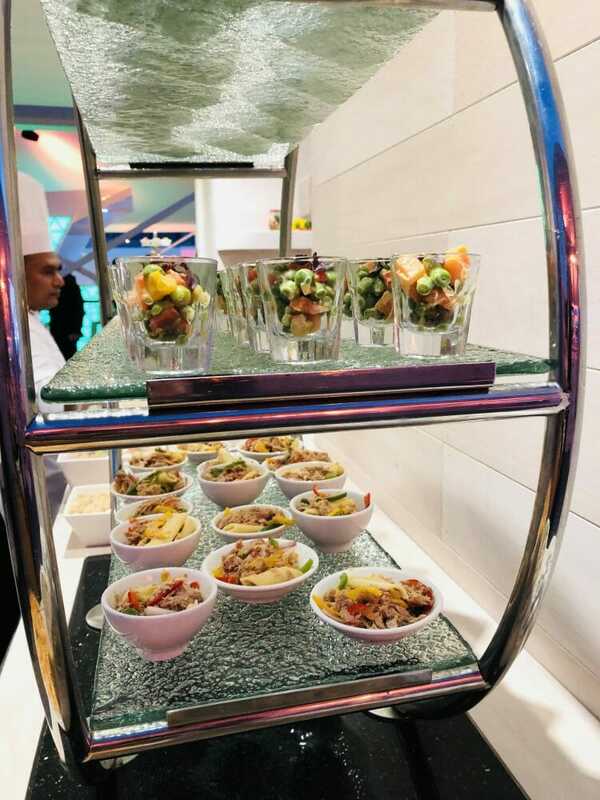 According to the multicultural guests, the catering was designed. International cuisine at top level, with a similarly diverse selection of drinks. 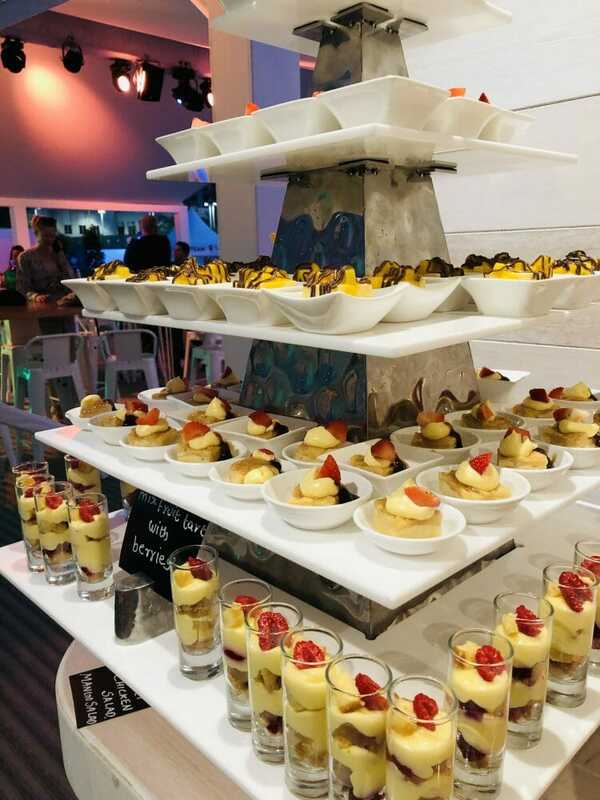 The chefs and waiters provided their guests with the utmost care and attention until the last second of the evening. 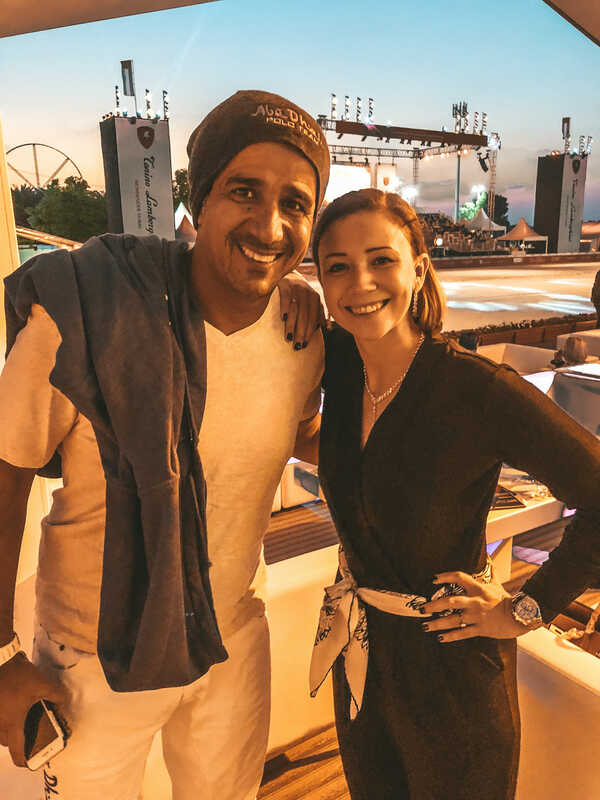 Organizer Sam and his wife Gabriele were also present in an exemplary way throughout the evening, personally visiting each guest in the lounges and providing everyone with interesting information, such as the fact that the tournament was broadcast live in 77 countries. 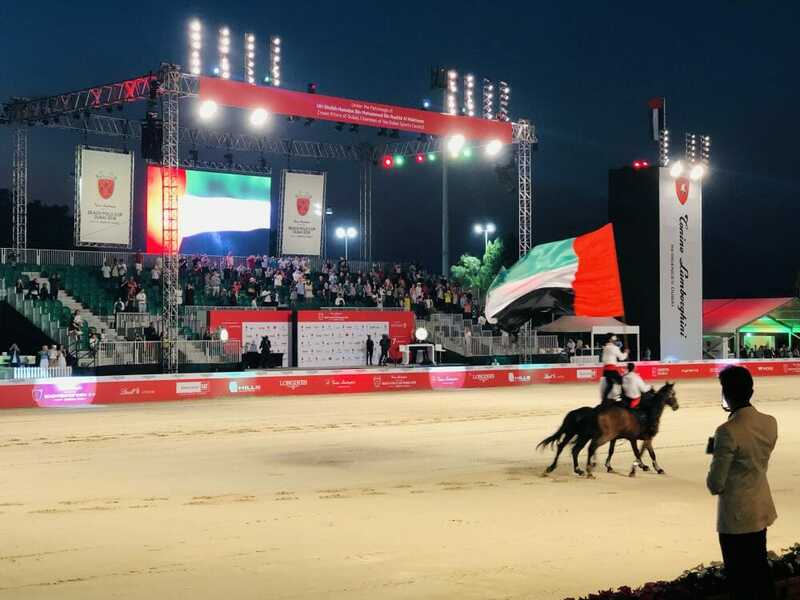 The tournament was officially opened with the national anthem of the United Arab Emirates. 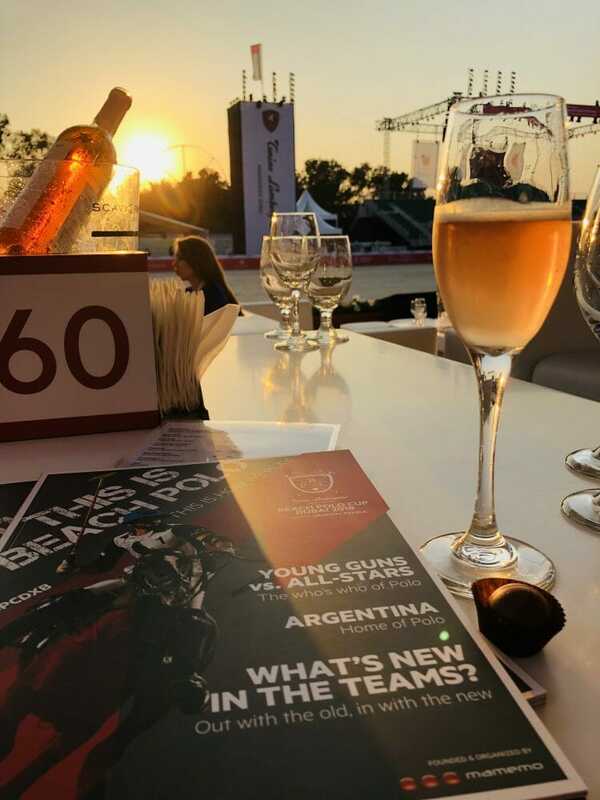 At 25 degrees in the evening, we experienced the most rapid polo action, and as we know it from other tournaments, many of the players stayed in front of, during, and after their match among the guests. That’s exactly what makes polo sports so accessible. 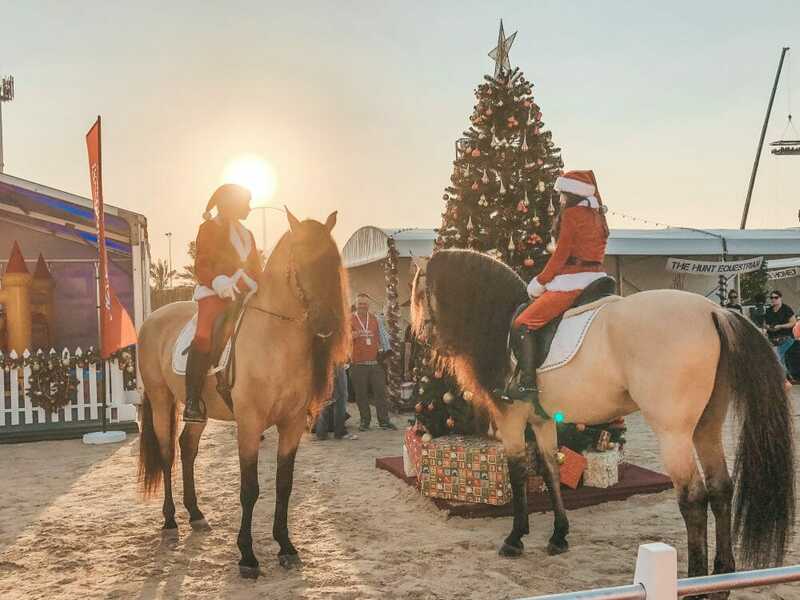 Between the two games we experienced an impressive show with artistic stunts by horses and riders, stunts and fire breathers provided for exciting entertainment. But what about a polo tournament without the voice of Jan-Erick Frank, “The Voice of Polo?” As always, he moderated the events on the pitch and explained one or the other rule of the game. Some of the guests were also involved in the game. 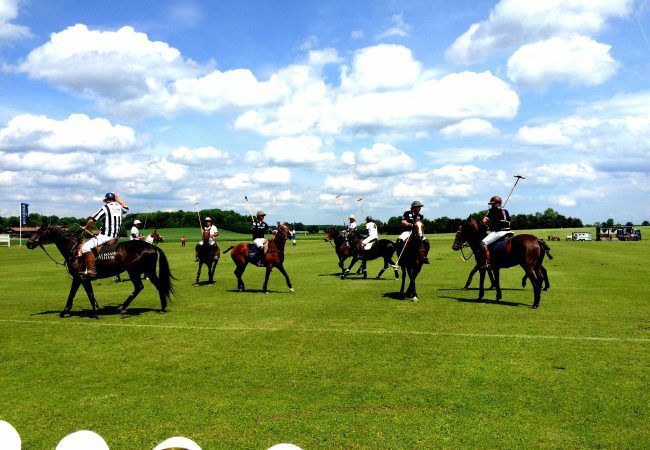 So the small – but also the big polo fans could throw in the ball, after a goal or at the beginning of a chukker. Very charming moderated Sam and Jan-Erick the events around the throw-in. After the award ceremony, a live band on a truck drove into the arena and made for party mood. 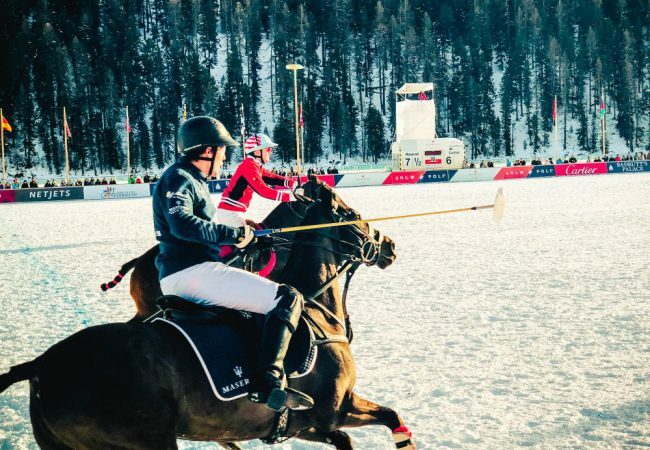 The unique polo tournament experienced a final highlight at a late hour. The gates of the grandstand, where guests were seated with free admission, were opened to celebrate together until late at night, which was a successful conclusion at a pleasant 25 degrees. 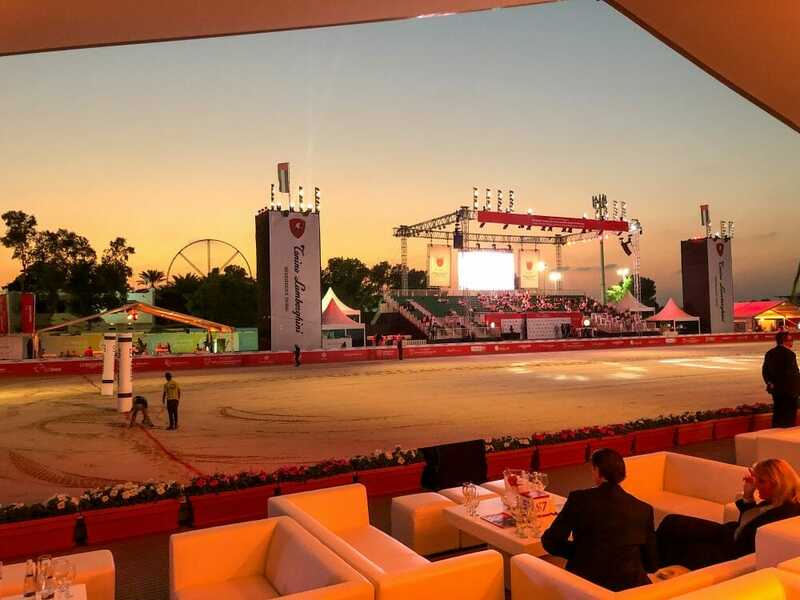 Once again polo, despite some superlatives typical of Dubai, was cosmopolitan and accessible to everyone instead of off-hook, or to put it in words: 1001-night polo. 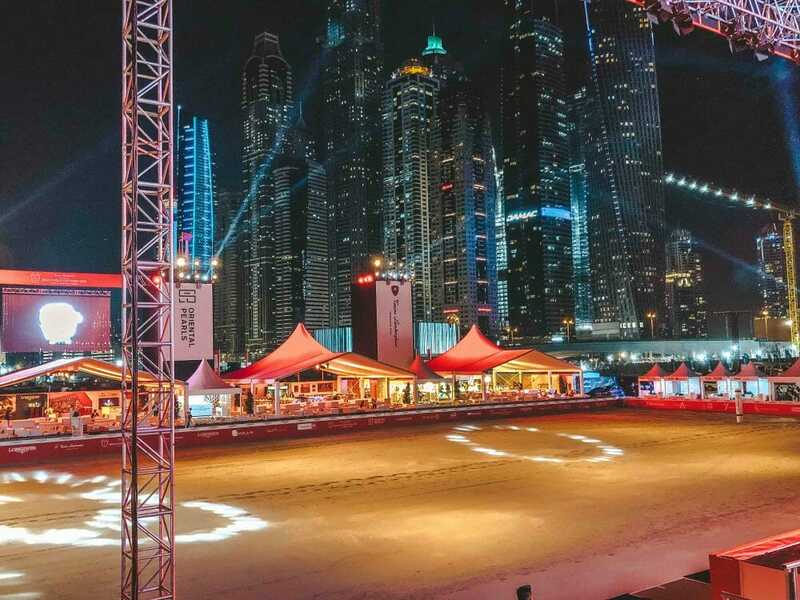 The Beach Polo Cup Dubai took place in 2018 for the fourth time in a row. 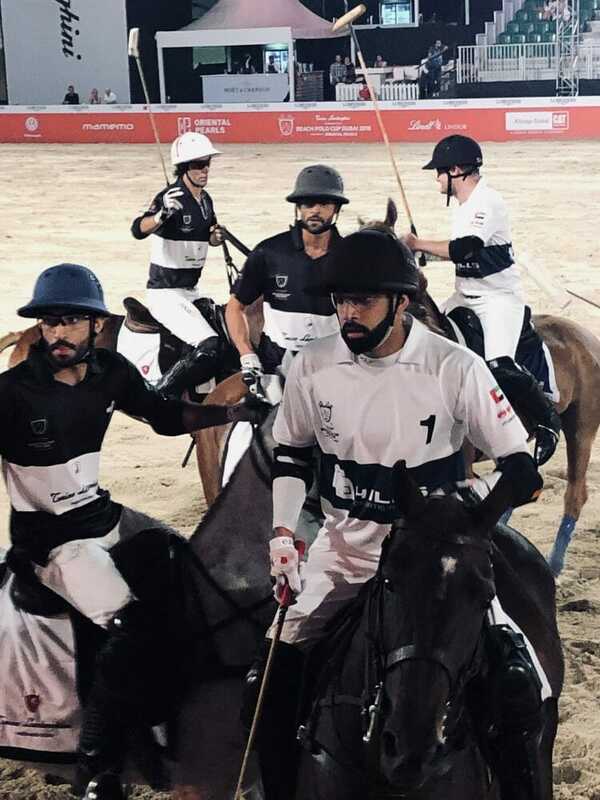 The tournament is under the patronage of HH Sheikh Hamdan bin Mohammed Bin Rashid Al Maktoum, Crown Prince and Chairman of the Dubai Sports Council. The venue is the Dubai Harbor Skydive, with a grandiose arena specially built for the tournament. 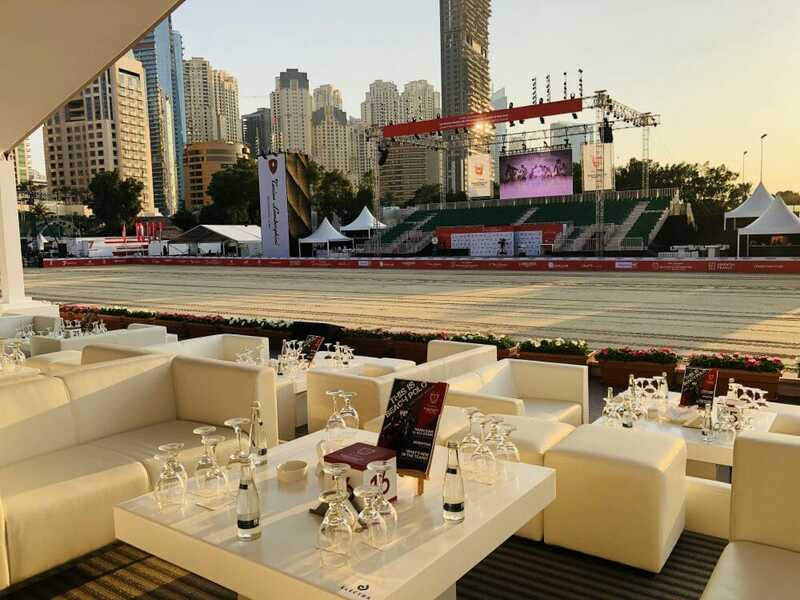 For more than a decade, the Beach Polo Cup Dubai has been a prestigious sports event calendar in the region. The tournament takes place on two days.